Priceline is dedicated to helping women look good, live well and feel great. Priceline is a cut above the rest because they're dedicated to being first with beauty trends, specialist advice and the best prices. Some retailers have their own policies and restrictions. 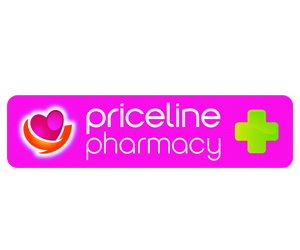 Before shopping, please ensure you review the Special Terms of Priceline Pharmacy (above) for further information. Complete your purchase in one session and without leaving Priceline Pharmacy. Do not click on any bookmarks or advertising banners or links once you leave ANZ Bonus Points Mall. We deliver to most Australian destinations (certain postcodes excluded). Australia Post's eParcel service will deliver your parcel. Expect your delivery within 5 business days for regular delivery and 2 business days for express delivery. Regular delivery is $9.95 and Express delivery is $14.95. If you are returning a product because you have changed your mind it must be returned within 30 days of purchase and must be unused, in its original packaging along with all manuals, and in a re-saleable condition.